The data economy is a major factor for European economic development. By treating this new data economy as a market, we can create a real data market, enabling all companies and organizations to benefit from a growth lever derived from data circulation. This vector remains highly under-used today. Already stimulated by Internet giants, telecom operators, and insurance companies, as well as by the growth of open data, this data economy will develop for the long-term, representing a sustainable market in the truest sense, thanks to the contributions of all companies – from startup to large companies – in the drive to circulate data and derive value from it. What type of data will be exchanged or acquired? From who? Should there be a cost, and if so, how much? What are the risks, and what contractual and legal framework should apply? We have observed that there is a need for education on this topic, and for tools to approach questions related to data monetization and generating value. Dawex seeks to enable all organizations to enter the data market, regardless of their business sector or data type. 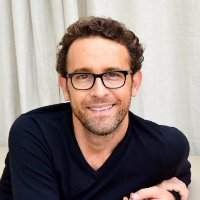 Fabrice Tocco, 42, is the co-founder of Dawex. Dawex is a secured platform designed to operate data transaction for private and public organizations. Graduated from Business School and held European and Global marketing positions at Michelin Group for 10 years, in 2009 along with 3 other associates, Fabrice co-founded a company that became the world leader in the acquisition and sales of data for the tire sector in the automotive industry (€8 million sales revenue in 2013; staff of 60 people, 20 nationalities). Fabrice Tocco and it’s co-founder Laurent Lafaye realized that a growing numbers of companies are now willing to share their data and, increasingly, ready to sell it. In March 2015, Fabrice and Laurent, with a team of high skill engineers and designers, have created Dawex, a trustful platform that makes it easy and reliable to monetize data. Dawex has the aim to contribute to the development of the Data Economy, making transaction of every kind of data (business, industrial, commercial, personal or anonymous data) easy, secure and sustainable.